In the wake of investigating Hong Kong, experience the excellence of Macau with this extraordinary day trip that touches on every one of the highlights and showcases the best of this European settlement. Meeting and assistance on arrival and transfer to hotel. Afternoon city tour of Hong Kong visiting the Kowloon Waterfront, visit the Jewellery factory along with the Republic Bay. 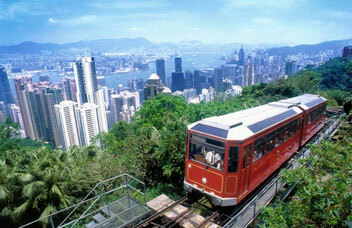 Experience one very peak tram ride offering a magnificent view of the Victoria Peak which is 1503 feet above sea level hence, offering a breathtaking view of the city. Witness the symphony of lights named as “Worlds largest permanent light and sound show” by Guinnes	s World Record. Return to hotel. Overnight stay at hotel. Morning breakfast at the hotel. Rest of the day at leisure or opt for optional visit to Disneyland. Here you can enjoy a lot of activates. Futuristic highway in autopia, Water Ride, Theme Parks besides eateries are main factors of the park. Evening return to hotel. Overnight stay at hotel. Morning breakfast at the hotel. Rest of the day at leisure or optional tour. In time transfer to the cruise terminal to board the cruise – star Pisces has as its homeport vibrant Hong Kong where inspiring museums, beautiful natural scenery and luxury shopping offers a varied experience. Overnight on board the cruise. Morning indulge in an extravagant breakfast on board. 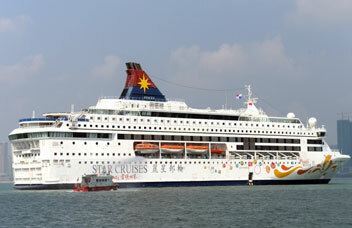 Later transfer to Macau, a small peninsula in mainland China, across the Pearl River delta from Hong Kong. On arrival check in at hotel. Rest of the day free. Overnight stay at hotel. Morning breakfast at the hotel. Later proceed for city tour of Macau which includes ruins of St. Paul’s regarded as the symbol of Macau, the surviving facade is actually the remaining front wall and majestic stairway of the sacred St. Paul’s Church after the fire in 1835, which burnt the whole church into flames except the front wall, the most valuable part. A-Ma Temple, The Temple was dedicated to the Seafarers’ Goddess dates from the early 16th century and is distinguished by beautiful tiled roofs and spectacular view from the upper garden. Senado Square is paved with a wave patterned mosaic of colored stones. it is the heart of the city surrounded by variety of shops making it a pedestrians’ and shoppers’ paradise standing at 338m, the Macau Tower is a convention & entertainment centre which includes shops, restaurants, a convention centre, cinema hall, a theatre and an exhibition hall. Climbing up the Observation Deck on 58th level for a breathtaking panoramic view to enjoy fresh air at a height of 233m above ground level. Overnight stay at hotel. Morning breakfast at the hotel. End of our services with departure transfer to the international airport to board flight for your onward destination.